Sophistication is not out of reach when you purchase our men’s designer 4mm traditional fit milgrain 10K yellow gold wedding band. There’s just something classic about the gleam of yellow gold. It’s traditionally the color that was often used for wedding bands in the past, and while the metals and pieces have evolved, many grooms prefer the more traditional look to share their commitment with the world. With delicate milgrain details, this ring is brought to life. Traditional gets a spin with this classic, and the best part is it won’t break the wedding budget. 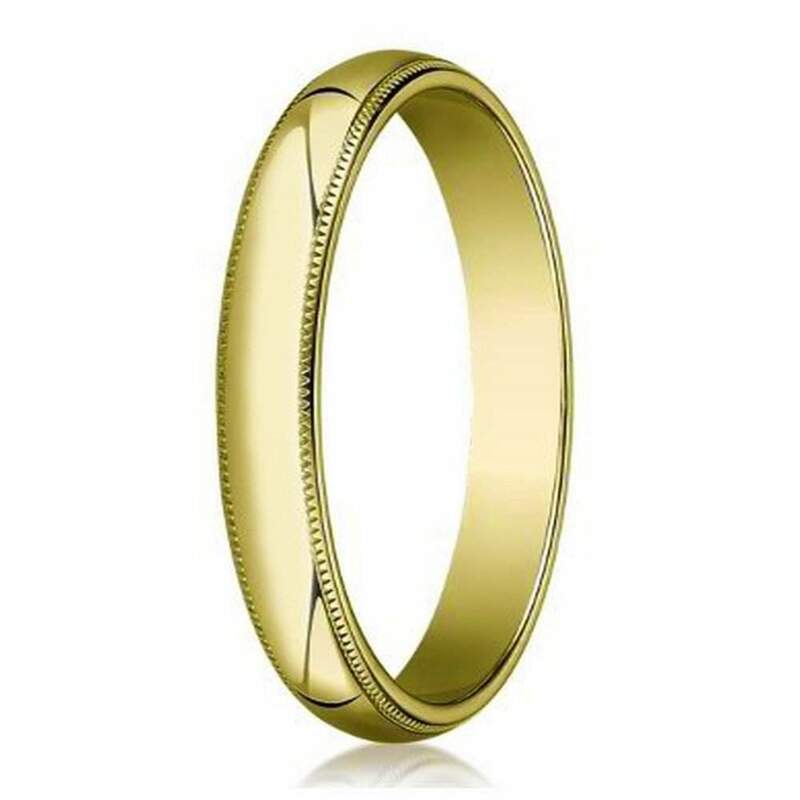 Our men’s designer 4mm traditional fit milgrain 10K yellow gold wedding band is perfect for someone who wants a comfortable ring while saving money. This is a high-quality piece, that will last for years after you say “I do”. Instead of worrying about it lasting, you can focus on the new chapter in your life that has begun. We offer a variety of sizes, ensuring that you can find the right fit for your hands. We also offer custom engraving of up to 30 characters. This allows you to add a short lyric, initials or the date of your nuptials to add a special touch and make this ring completely unique to your groom. While this ring will not jump out into someone’s face, it will subtly catch their eyes, and make a lasting impression. This ring is beautiful! great quality, perfect size and came fast then they said it would. even the engraving looks great!